Microsoft MVP, Lynda.com trainer, Microsoft Press author, and college professor. 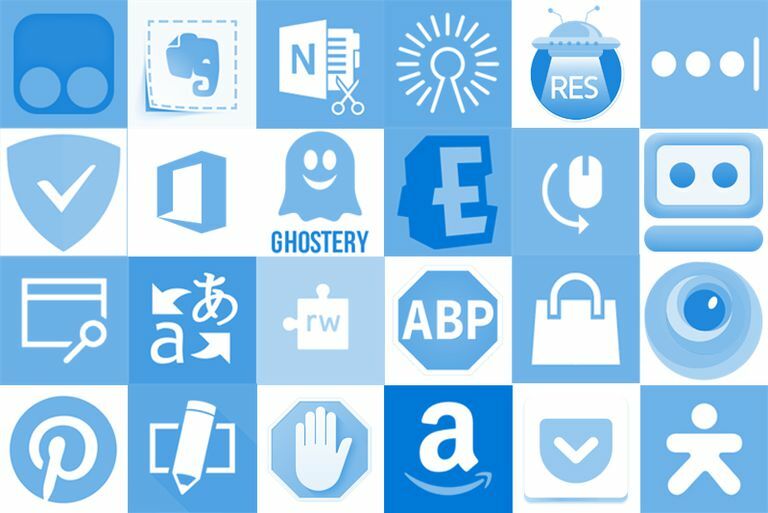 Extensions are small software programs that integrate with Microsoft Edge to make surfing the internet easier, safer, and more productive. You can add extensions to personalize your web browsing experience. Extensions vary in purpose and usefulness and you choose the extensions you want. Some extensions do one thing, like block pop-up ads, and work behind the scenes. Others provide translations between languages when you ask for it, manage web passwords as you deem fit, or add quick access to say, Microsoft Office Online products. Still others make it easier to shop at an online store; Amazon has their own extension, for instance. Extensions are available from the Microsoft Store. Microsoft Edge extensions are available from the online Microsoft Store or through the Store App on any Windows 10 computer. (We prefer the Store app.) Once there you can click any extension to go to the Details page for it. Most extensions are free, but there are a few you’ll have to pay for. From your Windows 10 computer, type Microsoft Store and click it in the results. In the Store’s search window, type Edge Extensions and press Enter on the keyboard. From the resulting window, click See All Extensions. Click any of the results to go to its Details page. The Pinterest Save Button is an example. Click the Back arrow to return to the All Extensions page and continue to explore until you find ad add on you like. Once you’ve found an extension you’d like to get, you’re ready to install it. Click Get on the applicable Details page. You might also see Free or Buy. If the app isn’t free, follow the instructions to purchase it. Wait while the extension downloads. From the Edge browser, read the information available and click Turn It On to enable the new extension. Your Edge extensions appear as icons near the top right corner of the Edge window. How you use an extension depends on the extension itself. Sometimes there’s an explanation on the Details page in the Microsoft Store; sometimes there isn't. For the Pinterest extension, for example, you must first find a site that allows pins to be created and then click the Pinterest icon on the Edge toolbar to create that pin. This is a manual extension. For an ad block extension, you’ll have to run across a site that has ads that need blocking and let the app do its job on its own. This is an automatic extension. We particularly like the Microsoft Office Online extension. This is a kind of hybrid extension. The first time you click the icon for this add-on it asks you to enter your Microsoft login information. Once logged in, you'll click this icon again to gain quick access to all Microsoft Office Online apps, which open and log you in automatically from then on. Whichever extensions you choose, you'll need to learn how to use them on your own because they are all different. There's no one size fits all instruction set to guide you. Keep in mind though that some work automatically behind the scenes, some only work in specific situations, and some require you to log in to a service to use them. Finally, you can manage Edge Extensions. Some offer options and settings, but all offer a way to uninstall the add-on should you decide to. Click the three ellipses in the top right corner of the Edge interface. Click any extension to manage it. Click Uninstall if desired, otherwise, explore the options. Even if you're not keen on Windows, Edge for Android is pretty sharp.